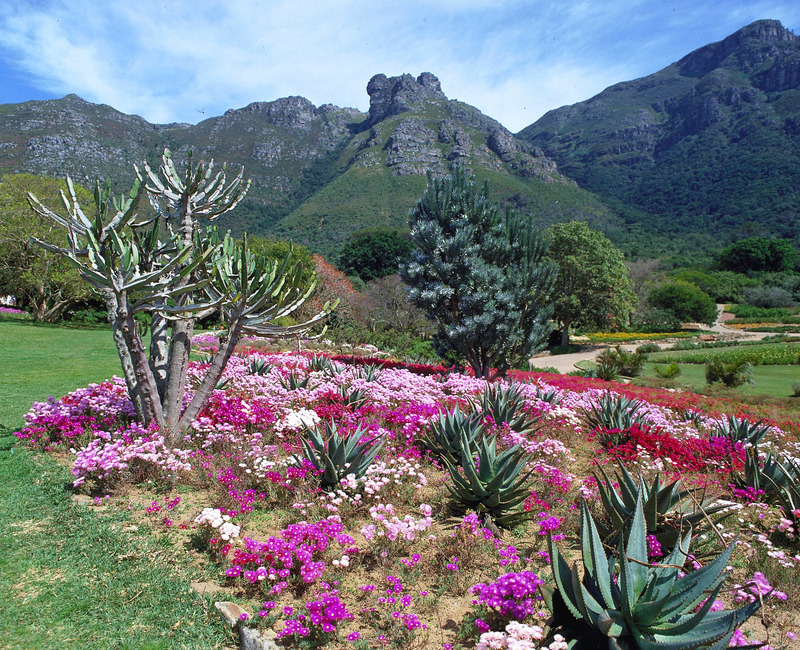 Kirstenbosch National Botanical Garden is world renowned for the beauty and diversity of the Cape flora it displays and for the magnificence of its setting against the eastern slopes of Table Mountain. 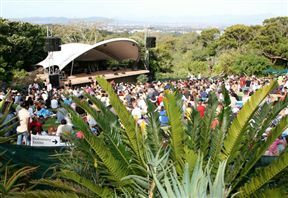 It comes as no surprise that Kirstenbosch has been voted one of the world’s top picnic spots by National Geographic Magazine. 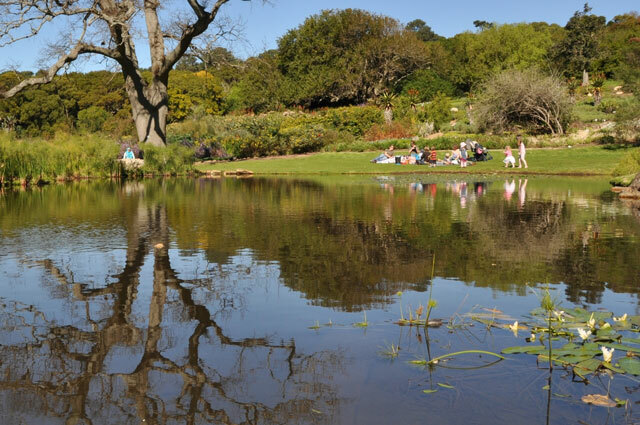 The rolling lawns, over 7 000 plant species and indigenous plants and the rugged slopes of majestic Table Mountain all add up to an experience like no other. 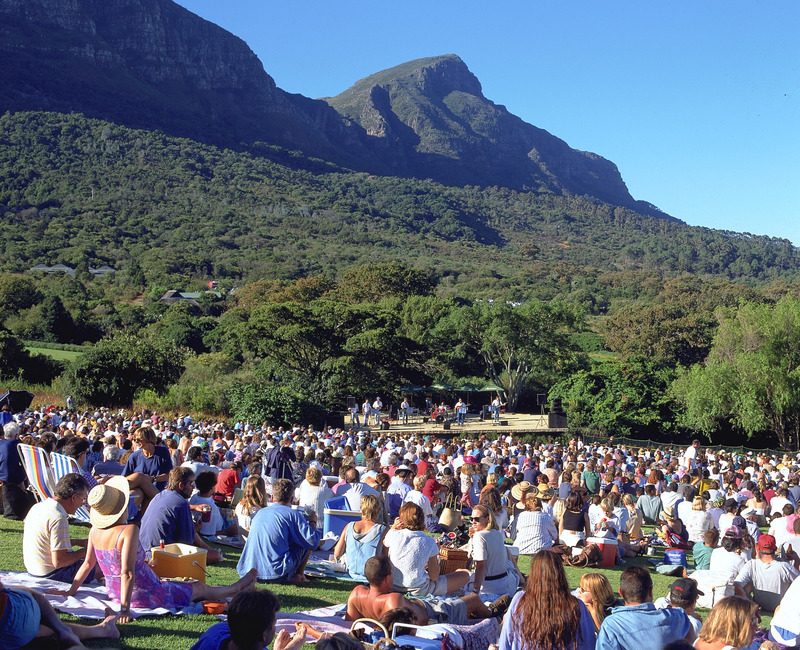 Picnicking on the lawns has become a national pastime, particularly when the summer sunset concert series packs the concert lawn to capacity. But even in the winter months, on a sunny day, the blankets and baskets roll out as families enjoy the heritage and beauty that makes the Garden so special. “We rank up there with the world’s top seven botanical gardens and being recognized by one of the world’s top magazines is a proud moment”. said Curator Philip le Roux. See travel.nationalgeographic.com. 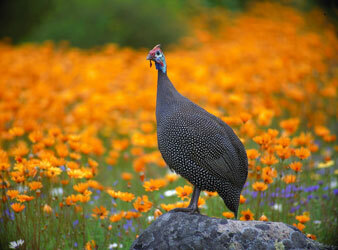 The estate covers 528 hectares and supports a diverse fynbos flora and natural forest. 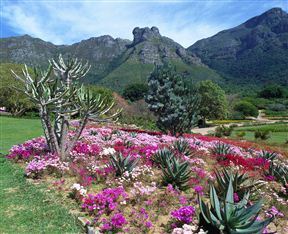 The cultivated garden (36 hectares) displays collections of South African plants, particularly those from the winter rainfall region of the country. The Visitors' Centre includes an information desk and various retail outlets and a nursery. The Centre for Home Gardening has outlets for plants and other services to support the home garden. 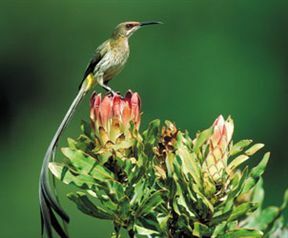 There are also several restaurants and coffee shops at Kirstenbosch. 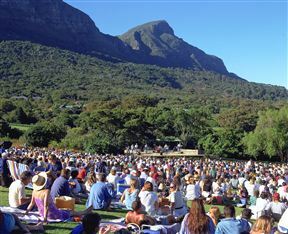 On Sundays during the summer months from December to March, musical sunset concerts are held on the lawns. 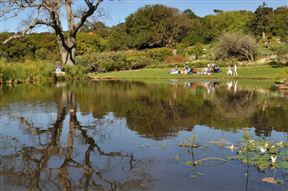 Craft markets are also held at the Stone Cottages (opposite Kirstenbosch) on the last Sunday of every month (except June, July and August). Physically challenged visitors should contact the information office in advance to book a wheelchair or one of the golf cart/shuttle tours. A number of trails lead through natural forest and fynbos surrounding the developed garden. A map is obtainable from the Information Office for a small fee. Open 365 days a year 08:00 – 19:00 (September to March) and 08:00 – 18:00 (April to August). 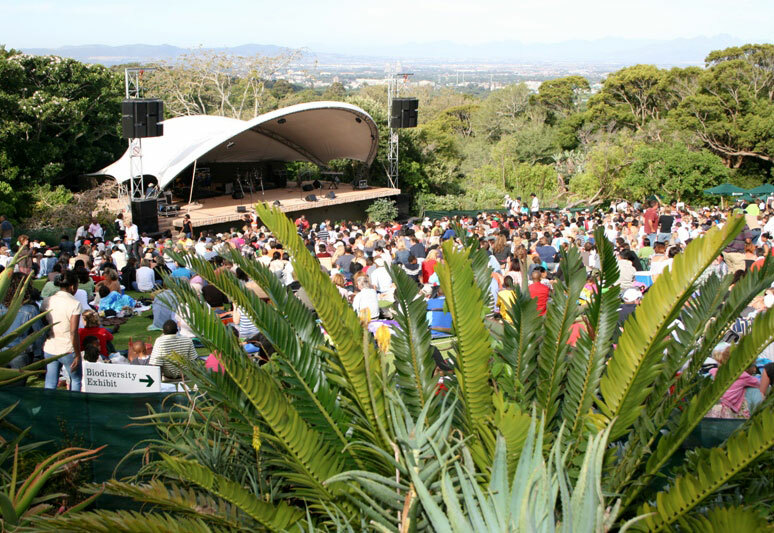 Drive along the De Waal Drive (M3) and turn into Rhodes Avenue (M63), close to Newlands. 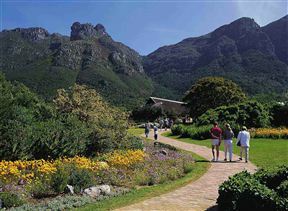 Kirstenbosch Gardens is 7km from the centre of Cape Town , the nearest airport 18.6km (Cape Town International Airport).